There are some craft gadgets that I think are 'nice to haves' and then there are some that I think are 'must haves' for Silhouette Crafters. A set of pressing pillows is definitely on the must have list. 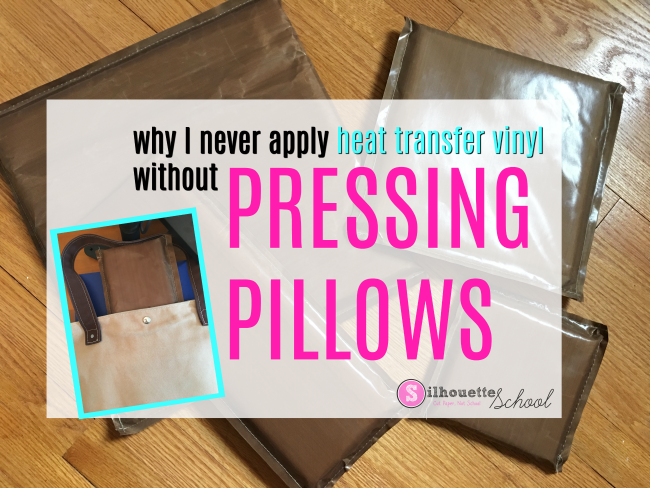 If you're not familiar with pressing pillows, the teflon-covered heat resistant foam pillows can be used to help increase and distribute pressure more evenly when applying heat transfer vinyl to a surface that is bulky and challenging to press onto. I got my set of four Soft-Fusion pressing pillows from Pro World and I have to say I use them every single time I press something. They're especially useful when working on items that have thick seams, zippers, buttons (think baby onesies), draw strings (sweatshirts), straps (canvas bags), or is small enough to completely fit on the heat press (children's shirts). The issue is these items are thick areas that will prevent the top plate of the heat press (or iron) from getting a tight seal on the actual HTV. When the HTV is applied without enough pressure it can peel or not even stick to the surface at all. When a pressing pillow is placed directly under where the HTV is to be applied it will bulk up that area higher than the zipper, straps, buttons, etc - therefore making it possible to get full pressure and a complete seal. I use the same 5x16 for pant legs and shirt sleeves as well! 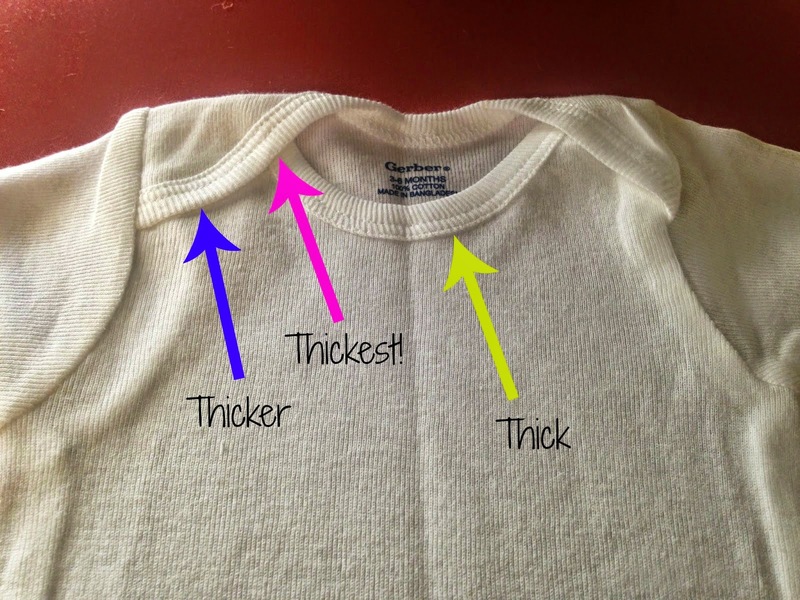 Let's say you are working on applying heat transfer vinyl to a onesie. The entire onesie will likely fit on top of the heat press. The shoulder seams and snaps are thick and higher than the area of the shirt where the HTV is going to be applied. By placing either the smallest square pillow (6x6") or long rectangle pressing pillow from Pro World under the pressing area - stopping right at the neckline while letting the snaps, shoulders, and neck seams hang off...you will guarantee a successful press! Look how the HTV has melted into the onesie! If you're working on a larger t-shirt for example, you can use the large square pillow and place it under the shirt letting the neck seam (and shoulder seams if possible) hang over the sides. The set from Pro World includes four different sizes for pretty much anything you could need to press. The 6"x6" square works well for small items and children's clothing. The 5x16" is nice for those canvas bags with straps as well as to slide into sleeves, pant legs, and baby outfits. The 10x10" square works well for adults shirts and the 15x15" is nice when you have an oversized items. Have you ever used those pads that look like mouse pads, come in a variety of sizes. Saw them at ATS.